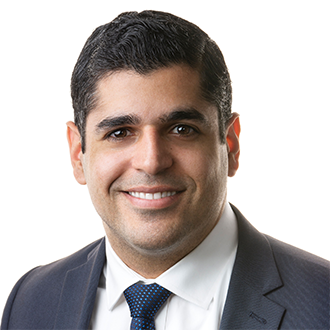 FordHarrison LLP, one of the country’s largest management-side labor and employment law firms, is pleased to announce that Fabian A. Ruiz has joined the Miami office as a senior associate. Fabian comes to FordHarrison from Littler Mendelson. Fabian’s practice is dedicated to the representation of management in labor and employment law disputes. He has obtained successful resolutions on behalf of his clients in single plaintiff, multi-plaintiff, and class and collective actions. He has represented clients before federal and state courts, and before federal, state, and local administrative agencies including the Equal Employment Opportunity Commission, the Florida Commission on Human Rights, and the Miami-Dade Commission on Human Rights. Fabian's background also includes experience in mediation and arbitration, having successfully mediated and arbitrated employment matters from inception to complete dismissal. He has represented employers in a broad range of industries, including extensive experience in the retail, construction, and sports and entertainment industries. While Fabian is adept at handling litigation and administrative charges for clients, a central focus of his practice is providing preventive advice and counsel. He routinely provides training to employers in both English and Spanish on a host of employment law issues including sexual harassment and discrimination, hiring, discipline and discharge, wage and hour regulations, independent contractor classification issues, and alternative dispute resolution. Fabian is skilled in trouble-spotting and has conducted company-wide audits of employee classifications, compensation practices, and equal employment practices. He has also reviewed, drafted, and revised company handbooks to remain compliant with the ever-shifting landscape of employment laws.